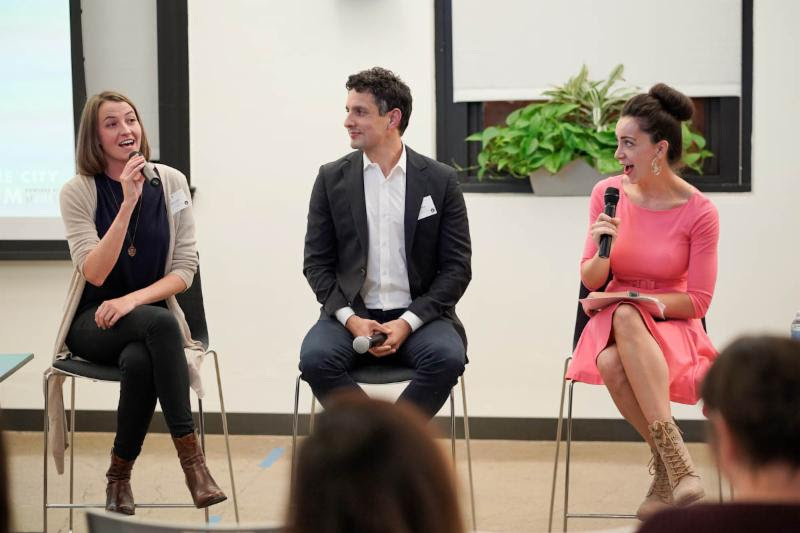 On November 13, sf.citi hosted our final One City Forum event of 2018, Rebalancing Power, at Okta HQ in partnership with the Phenomenal Woman Action Campaign. With over 100 women swept into office during the 2018 Midterm Elections, you could argue that we are a little bit closer to women ruling the world. The rise in female leadership has certainly directed more attention to important topics like women’s health and putting an end to sexual assault. The latter was the focus of Rebalancing Power, where we were heard from one of Silicon Valley’s leading ladies, Jess Ladd, Founder and CEO of Callisto. Joining her and sf.citi Executive Director Jennifer Stojkovic on stage, Lead Counsel of Employment at Airbnb, Peter Urias, shared insight into how the tech community is working to address sexism, harassment, and assault in the workplace. Before a packed room of attendees representing a wide range of industries, Ladd gave a presentation of Callisto, a nonprofit organization developing technology to empower survivors to document and report instances of sexual misconduct. “Ultimately what we want to create is one website for any victim of sexual assault or professional sexual coercion, and that can detect any serial sexual predator,” she explained. What role does government and policy play in stopping sexual assault? Urias: Certainly, I do think that legislation does make a difference and set the incentives. I don’t know if, at the end of the day, the legal consequences drive the up-the-stream changes. Probably they will as consequences continue to mount. I think it’s maybe only part of the solution. Ladd: I think there’s a lot of really well-intentioned policies . . . I think being really careful to always center survivor and survivor agency within any given policy, and getting feedback from the people you’re impacting the most, is a good blanket rule. 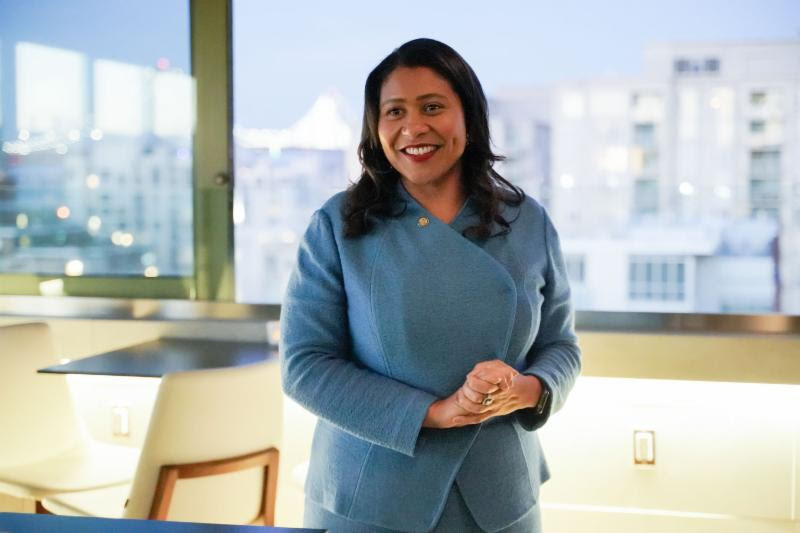 At this year’s Annual sf.citi Members Reception, San Francisco Mayor London Breed told sf.citi members and partners about her latest internship initiative. It has become sf.citi custom to invite our city’s leader to join in the sf.citi Members Reception fun. We were therefore honored to welcome Mayor Breed, who called upon sf.citi members to participate in “Opportunities for All,” an initiative that would give 3,000 local high school students paid ($15/hour) internships and job training opportunities in all job sectors of the city, including tech. The inspiration for this new initiative comes from Mayor Breed’s own life story. “The difference between the rest of my family and me is that I was given opportunity,” she said, attributing some of her current success to a paid internship she did in high school. Having completed the seventh summer of Future Grads—sf.citi’s summer internship program with the San Francisco Police Foundation—we understand the importance of preparing our city’s youth for the future. sf.citi looks forward to partnering with the Mayor’s office on Opportunities for All and other initiatives. In continuing our theme of #GirlsWhoRunTheWorld, sf.citi conducted an exclusive interview with another of San Francisco’s dynamic female leaders, last week’s recently elected District 2 Supervisor, Catherine Stefani. Several months ago, Supervisor Stefani sat down with sf.citi for a short interview before meeting with sf.citi members at Airbnb as part of our Lunch and Learn series. During the Midterm Elections on November 6th, Supervisor Stefani solidified her place on the San Francisco Board of Supervisors by winning a close race against the other D2 candidates. In honor of Giving Tuesday, sf.citi member Alaska Airlines is hosting a clothing drive with the Union Square Ice Rink and Larkin Street Youth Services on November 27, from 4-8 p.m. The clothing drive will directly benefit homeless youth who are part of Larkin Street Youth Services. If you’ve got gloves, socks, hats and coats to spare, please drop them off at the Union Square Ice Rink!